A new list of first quality optics, resulting from customer overruns, which are typically sold for 20 percent less than special orders and include same day shipping is being introduced by Meller Optics, Inc. of Providence, Rhode Island. The Meller Optics 2018 Parts List features sapphire windows in many config-urations along with hard-to-find ZnSe optics in 0.5” dia. sizes with 1.0” focal lengths, and laser specific CO2 parts for legacy equipment. Various other parts are made from BaF2, CaF2, germanium, CO2 laser glasses, quartz, ruby, silicon, ZnS, and more in various shapes and sizes. 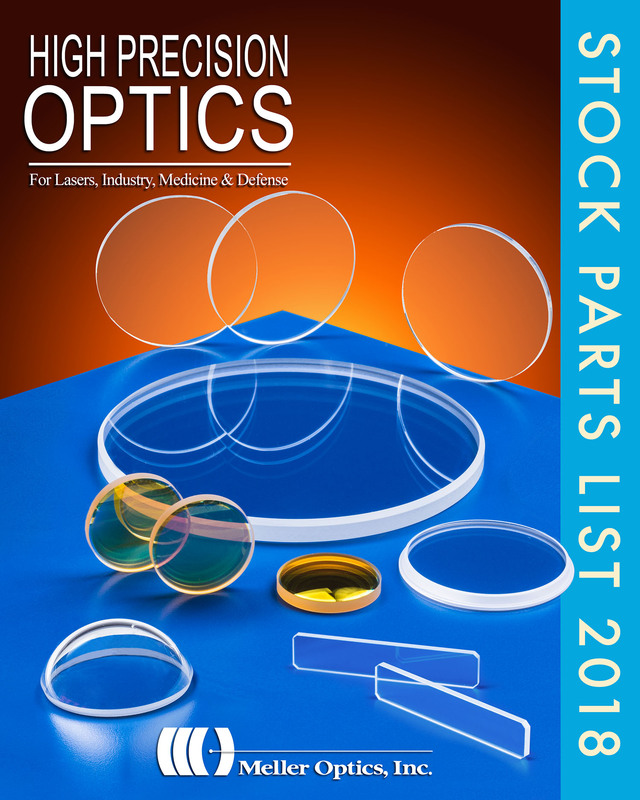 All overrun parts in the Meller Optics 2018 Parts List meet OEM quality requirements. Ideally suited for research & development applications, the sapphire optics have flatness of 10 waves to 1/10th wave, and 10-5 to 80-50 scratch-dig finishes. CO2 laser focusing lenses and optics for engraving and marking laser field replacements are also offered. The Meller Optics 2018 Stock Parts List is available with online ordering at www.melleroptics.com/overrun-list/ and the parts typically cost 20% less than custom ordered parts; without the wait. List is updated daily.